Upcoming events - save the date! Come to Stations of the Cross in the Church at 6pm and have dinner before or after. Welcome to Christ the King School! faith, academic excellence, love, and service. Christ the King is a PreK-4 through Grade 8 Catholic school that lives this mission daily by valuing each child’s unique gifts, working to help individuals reach their potential spiritually, academically, socially, emotionally, and physically. We accomplish this in a community where students feel a sense of belonging, purpose, and personal safety. The faculty and staff regard their roles as learning leaders who model the motivation, curiosity, respect, and compassion expected of students. Our mission as a Catholic elementary school is to educate young people in a faith-filled environment that builds discipleship with catechesis, prayer, and worship. Christ the King embodies its vision to establish a strong foundation for academic excellence through attentive instruction and carefully planned application of skills and knowledge, supported by integration of technology and community resources. 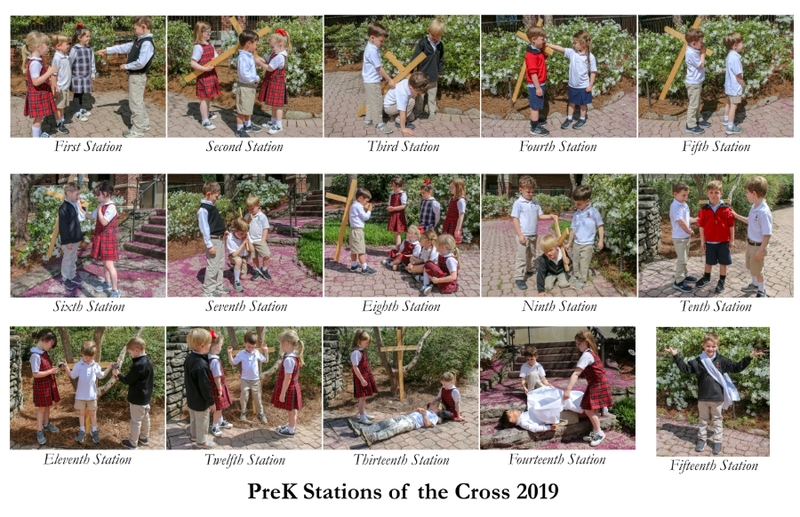 CKS offers a variety of opportunities beyond the foundational curriculum to enrich students’ minds, spirits, and bodies. Every grade participates in art, music, Spanish, technology, library, and physical education classes. These classes introduce and reinforce vital skills for students such as teamwork, responsibility, creativity, cooperation, and global awareness. Our graduates have become leaders in the larger community. The school continues to prepare and nurture students to be well-rounded individuals, equipped with honorable habits of heart and mind, who light the way for their generation. America Magazine says that the Nashville Predators are the most Catholic team in the NHL. Read More about Do you know an explosive child? He probably enjoyed hearing "We Are the Champions" when his beloved San Lorenzo football team won the Argentinian Football championship. But Pope Francis has a problem with one of the messages that seems to be a part of Queen's music. Read More about What does Pope Francis have against Queen? Get Ready for Lent! A Busted Halo trifecta! Read More about Get Ready for Lent! A Busted Halo trifecta! Strategies for dealing with winter blahs. T.S. Eliot wrote that April was the cruelest month. We beg to differ. The long stretch from now till spring can tax the resources of any of us. Check out this article from Aleteia on ways to cope. Read More about Facebook vs. Apple?